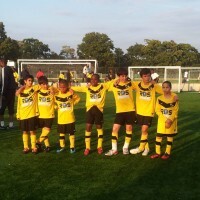 The SportsFusion Development Centre provides intensive football training for young people with a difference! 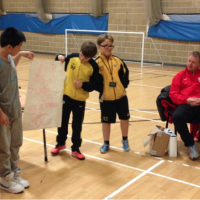 We provide football development for all ability levels aged 10 – 15 years. We provide a safe productive footballing environment for young people with a desire to improve their football skills and more importantly themselves. Throughout the academic year the SportsFusion Development Centre follow a structured curriculum that runs alongside the academic school year. We do much more than develop football skills. 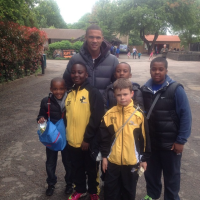 Our goal is to develop each young person who attends the programme to gain important life-skills. Competitive training, tournament football, trips, and courses throughout our academic year. Towards their environment, peers, coaches and themselves. Manners and conduct throughout SportsFusion from the moment they arrive until they leave our premises. A commitment to improvement through consistency in attendance and punctuality. A members approach to all tasks given, how they deal with requests and how initiative is used. 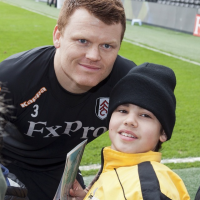 We have a long history working across London at grassroots to professional level with a number of success stories from professional footballers to young people who have found confidence and life skills through our methods. We pride ourselves on a bespoke approach to working with young people with the aim of bringing young people together through sport. We always want to keep our attendees motivated in all aspects. Look out for some surprise visits from some professional sports and business personalities throughout the year which will be sure to inspire! The Three A’s have been developed as a result of our relationships with educational institutions, sporting establishments and careers advisers. The three A’s tie in with the qualities needed to progress in any aspect of life. Monitoring and incentivising this process emphasises the importance of these qualities being implemented at every stage. We strongly believe that observing our system will ensure all our members go on to achieve! Join our Development centre programme! Our Development Centre is designed for children in schools years 6 to 10. We have no criteria based on the level of the player or gender. All we ask is that attendees are willing to learn. We will provide an enjoyable yet strict environment for all attendees to stay healthy and active while learning. Can Parents stay during training sessions? Parents are not allowed to stay during training sessions. We cannot accept any child onsite without parental consent in the form of completed forms. Parents must attend at the beginning of sessions to speak to management regarding enrolment or any queries regarding children. We work to a three-stage term curriculum where we focus on 3 skills or techniques per term! Where is the Development Centre run? 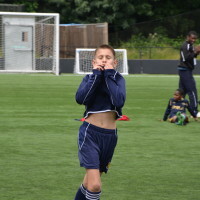 Our Development Centre training sessions take place at Lambeth Academy, Elms Road SW4 9ET. 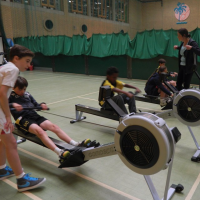 Parents have plenty of parking and attendees have excellent facilities at their use, including a sports hall and gym. Will there be competitive football or competitions? Absolutely – we have friendlies and tournaments throughout the year. We understand our attendees have commitments to football teams and other extra curricular activities yet our programme is carefully planned around the academic and footballing season to allow involvement in some excellent events across London. Can I buy SportsFusion gear? We are proud to announce our partnership with Nike who exclusively provide our Kit at reduced rates. SportsFusion will have ‘kit order days’ where parents and players can make payments and order kit with a delivery date given with receipt of payment. Kit can only be ordered on these specific dates so please be sure to order or organise payment plans (if needed) before these dates. For more information, please contact stephen@sportsfusionuk.co.uk. I would have no hesitation in recommending SportsFusion to other parents. The staff team are warm, friendly and professional. If your looking for somewhere that’s fun and local check out SportsFusion!